Vacuum systems are developed for a trouble free transport of blood and offal without using water. There is a range of vacuum pumps available with a variety of motor powers, from 0.75kW up to 22.00kW. 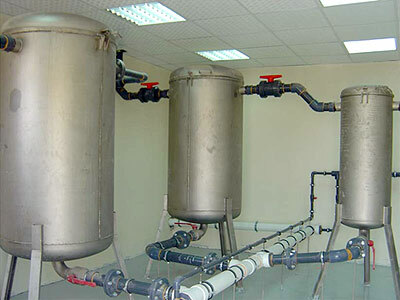 The size of the pump depends on the plant size and the installed machines. The stainless steel vacuum tanks can be supplied in two standard sizes: 180 litres and 800 litres. Other sizes are available as well as galvanized tanks that can be provided upon request. The tanks are equipped with an opening lid on top for easy cleaning purposes as well as separate connections for cleaning by water and unloading, supported by compressed air.